"Do Lord! Oh Do Lord! Oh Do Remember Me!" 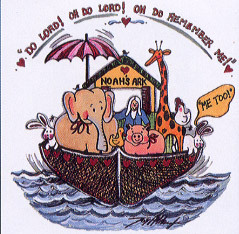 and Noah's Ark on a White Youth tshirt (as shown). Heavy weight Hanes cotton shirts.